This map shows territory of Russia. actual map of Krasnodar with gps calibration displayed. interesting map of Novotitarovskaya 1 cm to 1 km this. 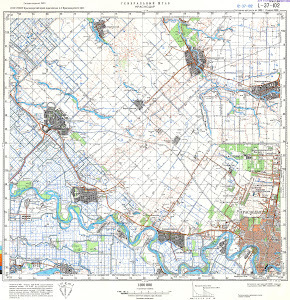 free map of Yelizavetinskaya with gps calibration download for free. detailed map of Novomyshastovskaya with gps calibration download for free. free map of Novovelichkovskaya here. detailed map of Belozernyy with gps calibration for gps. topographic map of Zharkevichi with gps calibration free download. topographic map of Vostochnyy и OziExplorer calibration free download. free map of Vorontsovskaya with gps calibration presented. actual map of Veselyy и OziExplorer calibration presented. free map of Sverdlovskiy download for free. map of Stefanovskiy with gps calibration free download. interesting map of Storobzhegokay with gps calibration presented. topographic map of Starokolonskiy download for free. free map of Pseytuk for gps. topographic map of Primaki 1 cm to 1 km here. topographic map of Prikubanskiy presented.